A new poll suggests the public believe castles, cathedrals, churches and royal palaces are the historic buildings most important to protect for future generations. The results came in an opinion poll carried out for the National Churches Trust, the UK’s church buildings support charity, by ComRes. In the poll, out of ten key types of historic buildings, the top three responses in rank order are castles (69%), cathedrals and churches (60%) and royal palaces (49%). British adults are most likely to say that castles should be protected for future generations (34%). This is closely followed by cathedrals and churches (20%) and royal palaces (18%). Other building types and their ranking in the poll included country houses (4%), transport buildings and structures (4%) and government and civic buildings (3%). Adults 65 years of age and over were the largest age group (32%) to rank cathedrals and churches as the most important type of historical building to be protected followed by people aged 45–54 (22%) compared with those aged 55–64 (19%), 35–44s (14%), 25–34s (14%) and those aged 18–24 (8%). “As we approach the 2017 Budget, I hope that the fact that the public think that it is important to protect church buildings for the future will provide the Chancellor with the evidence he needs to provide further funding, such as the Listed Places of Worship Roof Repair Fund, to protect churches for future generations. “The UK benefits from having a huge number of historic buildings. We commissioned this poll from ComRes to find out which particular types of historic buildings the public think need to be protected for the future. 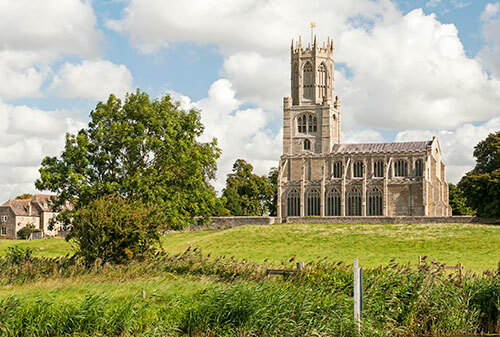 PHOTO: St Mary and All Saints, Fotheringhay. Northamptonshire. Photo by Bob Stewart.